Gohan is the son of Goku and Chi-Chi. He is very similar to his father and strong as all true Saiyans should be. 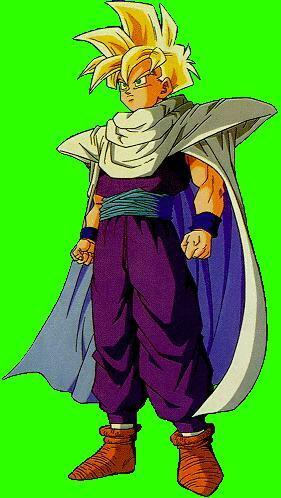 He is the first to change into Super Saiyan 2 and was first trained by Piccolo. The training from Piccolo resulted in revealing Gohan's true Saiyan powers.